Both the Israeli Prime Minister Ehud Olmert and his Palestinian counterpart Mahmoud Abbas are at the conference. 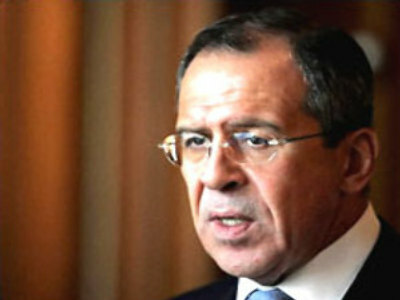 Russia's top diplomat praised Washington's effort in bringing the two sides together for talks. Lavrov says repairing the split between Hamas and Fatah cannot be ignored. He says “the desires of Palestinian people”, chief of which is “the creation of an independent state”, can only be met once the rift between the rival factions is healed. Syria has decided to take part after Washington agreed to devote a session on reviving talks over the Golan Heights, which Israel seized in the 1967 war. But Iran will not be attending. President Ahmadinejad warned that it was not the right time for Israel to be given concessions.